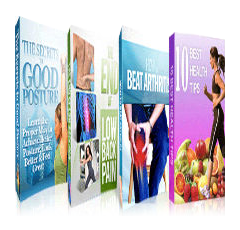 Get Instant Access To These 4 Ebooks Today"
Welcome to Sports and Wellness Physical Therapy, where rehabilitation and a healthy lifestyle meet. We provide excellence in physical therapy services and wellness programs to the beautiful Central Coast area. Our office is located at 3440 S. Higuera Street, Suite #120 in San Luis Obispo, California. We're one block south of the DMV. We are proud to announce that Sports & Wellness Physical Therapy was awarded the 2015 Physical Therapy San Luis Obispo Patients' Choice Award.